Hold scores of video files and plan to convert video to DVD format (NTSC or PAL) for burning to DVD discs? Congratulations! Here is the right place to stay at, for the below post will share with you top ten video to DVD converters to convert MP4 to DVD, AVI to DVD, MKV to DVD, etc. on Windows/Mac OS with most ideal quality and speed. Review: The first you notice about the top ten video to DVD converter review Gold Award winner for is how accessible and clean the interface is. It enables you to transcode video files to DVD NTSC or PAL format with 180+ video formats supported like MP4, MOV, AVI, MKV, FLV, etc. with simple mouse clicks. On top of that, its all-round video conversion, video download and video compressor for DVD burning make it a perfect choice for DVD video conversion. 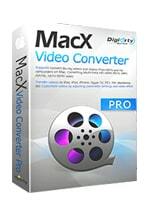 Step 1: Free download this world's No.1 video to DVD converter on Windows or Mac OS X. Step 2: Launch it and import video files (SD or HD) you wanna convert to DVD. Step 3: Choose output DVD format: NTSC or PAL from "DVD Profile". Step 4: Select the destination folder to save your output DVD files and then Press "RUN". Review: This EffectMatrix video to DVD converter's primary function is to convert video and audio files from one to another, which it does a great job. Yet, that's not the whole story. This second-ranking tool also allows you to process video from MKV, FLV etc. to DVD MPEG format and burn the video to DVDs. The DVD burning feature is definitely a huge boon for its customers. Of course, it's not perfect. See the objective review from en.softonic shows that it brings you converted files with low quality once in a while. Review: One of the things we like best about this nice app is the fact that it allows you to convert video to DVD with any video format as well as create ISO image from video files. No matter you desire to convert MP4 to DVD, MKV to DVD or even more, you can accomplish this video to DVD conversion task within mins thanks to its multi-core processing, multi-threading tech. This program also contains a few extra features like create personalized DVD menu, add watermarks/subtitles to output files, etc. 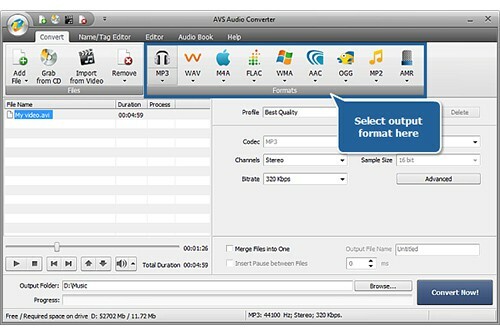 Review: Xilisoft AVI to DVD converter is a fantastic video to DVD converter that we recommend for a number of reasons. The variety of formats it supports is quite extensive. See, it lets you convert AVI to DVD movie, DVD folder or ISO image. Plus, it also allows you to burn AVI, VOB, MPEG, DAT, etc. to home DVD. And you will also be impressed with its practical video editing and flexible parameter settings, like trim video clips, add multiple subtitles/audio tracks, adjust video Bit rate, frame rate, etc. Review: Honestly, this tool accepts nearly all of the video types for video to DVD conversion, e.g., MKV to DVD, AVI to DVD, MP4 to DVD, MOV to DVD (NTSC/PAL) with three quality options offered, high, medium and low. And the whole conversion process is quite simple: load a file, opt for what type of DVD you want to convert it to NTSC or PAL– and click Convert. And in our test, its ultra fast conversion speed is quite impressive. It converts AVI to DVD MPEG-2 format with purely 15 seconds, 6X faster than Xilisoft AVI to DVD converter. Review: This program contains a respectable library of input and output profiles. You are allowed to convert video to DVD and convert video to Blu Ray format for later DVD burning. As for output profiles, apart from the DVD NTSC/PAL format, you have a mammoth selection to choose from, either the digital video audio formats like MOV, MP4, H.264, AVI, DixV, XviD or the mobile device profiles like iOS iPhone iPad iPod, Android Samsung Sony, etc. One thing to note is that the mobile device profiles don't cover the latest iOS Android flagship, just the common older gadgets. 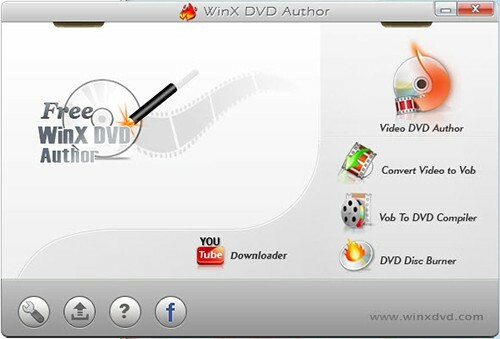 Review: WinX DVD Author's benefits are large and its flaws are small. 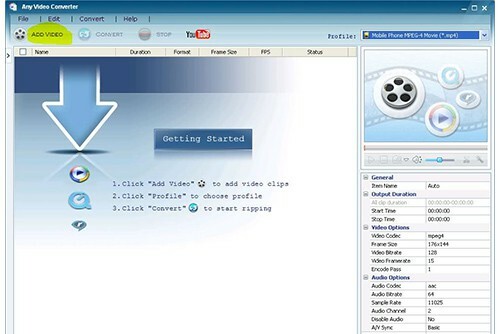 It offers a wide selection of video formats as input formats, incl. MP4 MOV AVI MKV VOB QT WMV, etc. so that you can convert any video to DVD disc, DVD folder or VOB at your willing. Better still, this 100% freeware allows you to author DVD menu, chapter menu, add your favorite music, pictures as background. The only drawback is that it's willing but powerless to create ISO image from video files. Review: As the world-renowned freeware, this one will never let you down in video to DVD conversion mission. It excels in converting almost any video format to DVD MPEG-2 (720×480) format and burns them to a DVD disk, which is playable on any home DVD player. However, some users complain a lot on the bundled third party apps installation, which is aimed to help DVDVideoSoft's products further development. So if you really can't bear this, you can refuse the third party apps installation. Review: Not only does Freemake Video Converter work as an amazing video to video converter, it also performs as a mighty monster in video footage to DVD processing field. Apply it to free convert MP4 to DVD, FLV to DVD, MKV to DVD or MOV to DVD, all piece of cake, with 250+ formats supported. However, after our test, it ranks near the bottom, because it takes a rather longer time than the others in the whole conversion. So the video to DVD conversion speed is the one Freemake should take more efforts on. Review: Any Video Converter Freeware is an apt name for this video to DVD converter app, because it truly does what its name implies-convert any video. It does convert video among SD and HD videos and also plays a perfect role. It converts MP4 to DVD, MOV to DVD and even YouTube to DVD format. This might be the reason why it's also called as Free Video to DVD Maker. All in all, this is quite an awesome video files to DVD transcoder for Windows users if you don't care much about conversion speed.